Foreign exchange (forex) trading has increased in popularity over the last few years, and today this area of spread betting is almost as popular as indices, as spread betters take advantage of fast-moving currency markets. Popular currency pairs include the euro/dollar (EUR/USD), sterling/dollar (GBP/USD) and dollar/yen (USD/JPY). The multi-trillion dollar Forex industry that is traded by millions of people worldwide and analysed by thousands of companies, such as CitiFX Pro Reviews, actually started over a hundred years ago when the gold standard was introduced in 1875. Gold or silver had been the usual method that countries used to trade with other nations, but the value of these precious metals was too inconsistent, dropping whenever new deposits were discovered. So the value of gold became fixed in each country and the foreign exchange was the difference in the price of an ounce of gold between the two countries involved. The Gold Standard survived as the only form of foreign currency exchange until the Second World War, at which time many European nations found themselves short of gold reserves and unable to maintain prices. A new system was therefore devised, known as Bretton Woods, which used the US dollar as the standard rate of international currency rather than gold. Additionally, the US dollar would be the only international currency to be backed by gold, with the others all being tied to the dollar. This may have seemed a good idea at the time, but as the nations of Europe started to recover financially and Asia became more of an economic power, it became clear that having just one international currency backed by the price of gold was not working. The Bretton Woods system eventually collapsed in 1971, which is when the modern Forex system was introduced. The foreign exchange market is the largest trading marketplace in the world, handling over £1 billion in funds each day. Currency trading is the basis of the forex market, which means that new investors who are wading into trading will need to learn the basics of how currency trading operates before they can understand how the Forex market works. Currency trading refers to the buying and selling of national currencies in the global marketplace. Instead of purchasing or selling shares of company stock, forex investors trade units of currency based on the belief that those values will either rise or fall in the coming days. The vast majority of forex trading is done for profit, giving traders plenty of reasons to get involved in the market for profit. However, there are several aspects of currency trading that new investors need to understand before they can get started trading successfully. When traders are ready to purchase currencies, they’ll notice that these units of money are traded in currency pairs. These pairs show the value of one currency compared to another, giving investors an idea of the current worth of the monetary unit. For example, a currency pair may be expressed as USD/GBP, which shows the value of the United States dollar in comparison to the British pound. If an investor believes that the value of the dollar will rise and the value of the pound will decrease, he or she might convert holdings by using pounds to purchase dollars. Forex, or the foreign currency exchange market, is traditionally associated with large financial institutions, such as central banks, commercial banks, hedge funds and multinational corporations. It is an over the counter (OTC) market, which means it does not have a central exchange. Trades are instead executed directly between the two trading parties. Traditionally, this involved professionals or their brokers. Nowadays, forex has become increasingly attractive to private individuals and access is enabled by the internet. 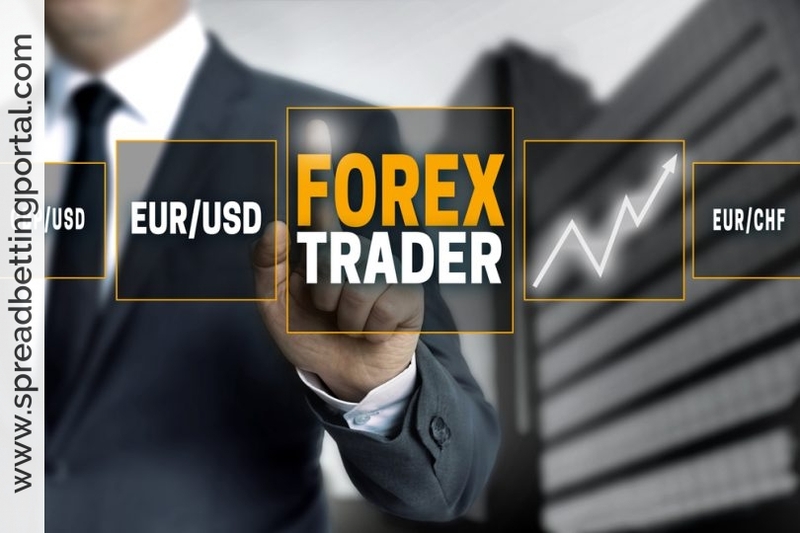 In principle, all you need to start trading forex is a personal computer, an internet connection and the services of a personal forex broker. Forex day trading involves opening and closing positions on the same currency trading day. 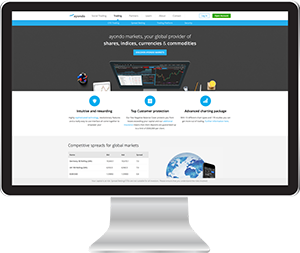 The main advantage of this form of trading is that it allows you to concentrate on one or more trades in a relatively short time span. Also, as forex is a 24-hour market, the trading day can start at any time; you are not confined to the 24-hour clock as it applies in your geographical location. This makes it an attractive option for traders who have other commitments during the day or night. Forex is one market that is particularly sensitive to data announcements; being highly volatile with deep liquidity and tight spreads, making highly attractive for spreadbetters to participate in. The foreign exchange market itself is constituted of an international network of banks and other financial institutions that are spread out across the world’s major financial centres and time zones. Just think for a moment: the forex market is the most liquid financial market in the world, with over $4 trillion in daily volume. Couple that with the potential for some sizable moves following some economic announcements, and it is not difficult to see why currencies attract so many speculators looking to make a fast buck. So many traders are becoming disillusioned with the markets nowadays. It seems whatever way you turn there are manipulations that make them perform in ways you wouldn’t expect, and despite the excellent volatility which we’ve been experiencing, it is difficult to anticipate and make money out of stocks. This has made a lot of traders turn to the Forex. After all, the market is so big that it’s hard for anyone to manipulate it, as even governments have a problem trying to support their own currency. And regular Forex trading does give you good leverage for your money. But smart traders know how to make the game even easier. They choose to trade contracts for difference and spreadbets. This gives them greater flexibility in contract size, excellent leverage and better trading profits. Successful forex traders share certain traits and qualities. These help them to consistently make the right decisions, and enter and exit trades at precisely the right times. Confidence is a pivotal skill that all good traders possess. Having confidence in their trading ability allows individuals to act at the right times, either minimising losses, or maximising gains. Inaction and fear can be costly, and good traders are able to act effectively, and anticipate market shifts. There is a fine line between confidence and overconfidence, however. Overconfidence is another trait that almost always leads to problems for forex traders. It can cause traders to gamble more than they can afford, and ignore the maximum loss figures they set for themselves. Good traders are willing to learn, and are always open to new ideas. Spending time practicing with a demo account is a good way to learn new methods, and polish skills in a pressure free environment. Forex seminars can provide excellent opportunities for traders to boost their knowledge. Of course, experience is also incredibly important, and that can only be gained by trading on a regular basis. Although forex day trading may be limited in terms of time, it does not mean that potential profits or losses are similarly restricted. Forex trends can be sudden and sharp, even over a matter of minutes, especially when you consider the value of the trading position after leverage. Guarding against losses can be achieved by constantly monitoring open positions and by closing losing positions as soon as soon as they are recognised. 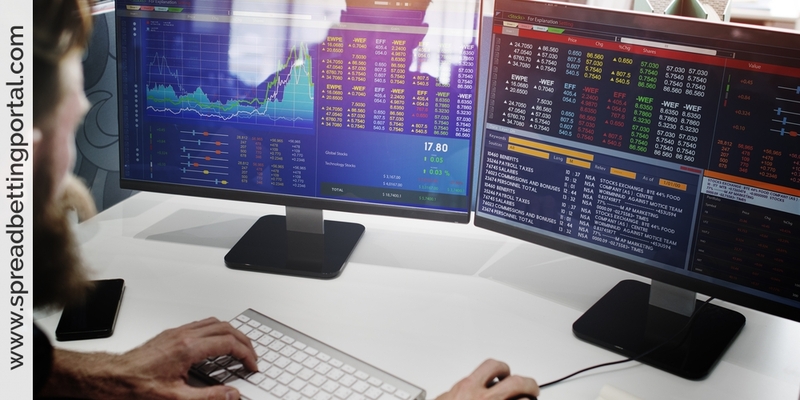 Technological advancements and the growth of online trading have opened up the forex market to any private investor with a computer and internet access. When you spread bet on two currencies you are taking a gamble about how these two currencies will move with respect to each other. For example, the $/£ or to $/Yen. Currency spread bets are divided into two sorts, ‘spot bets’ and ‘forward currency bets’. Spot currency spreadbets are intended for shorter-term trading. They are closed the same day they are opened (although you have the option to roll positions overnight for a fee), and you are really betting on which way a currency will move during a trading day. Trading spreads are significantly narrower for spot bets than for forward currency bets. Forward currency bets are true ‘futures’ bets and allows you to take a longer term positions on which way the currencies will move. Again, they are divided into quarterly periods. You can bets on any month within the current quarter. When the current quarter has less than three weeks to run, you can also place a bet for the quarter beyond that. The confusion I had when I first dealt in currencies was to work out which way round I was betting! This is important. Actually, the first bet I made I got it the wrong way round, BUT I was wrong in my prediction as well, and so I made money. That was just luck though. With all currency bets, you BUY if you expect the first currency to strenghten against the second, and SELL if you expect the first currency to weaken against the second. Example: You expect the pound to strenghten against the dollar. Get this clear, you expect to get MORE dollars for your pound, and so the dollar price will rise if you are correct. Example, it was £1 = $1.665 and it goes to £1 = $1.766 – the dollar has become worth less and so you get more of them to the pound. You check for a quote on 1st January for March British Pound/US dollar and are quoted 16600/16640. This means £1 = $1.6600 spreading to $1.6640. You think the pound will strengthen against the dollar and so you BUY pound/dollar at 16640 at $2/point – this is the minimum bet. You are betting that the dollar will weaken against the pound. The deposit factor is 350, and so you must deposit 350 X $2 = $700 or equivalent in Sterling to cover your bet. The dollar falls in value against the pound, and after a few weeks you again check the March quote. You are given 16890/16930 (£1 = $1.6890 or $1.6930). You are getting MORE dollars for the same pound, and so the dollar has weakened. You decide to sell the £/$ in order to close your bet. You trade at the lower of the two prices – 16890. Example: You expect the pound to weaken against the US dollar. You call for a quotation for March British Pound/USA Dolalr and are told 16600/16640. You SELL the pound against the dollar at $10 per point. You trade at the lower of the spread prices, example 16600. You deposit 350 x $10 = $3,500. Difference: 450 points x $10 = $4,500 loss. The most popular currency pairs for data plays are the euro/dollar, sterling/ dollar and dollar/yen. How Big is the Bet? Like all such currency bets, you are betting so much per point. But what IS a point? This varies from currency to currency. in the case of the £/$ we have seen that one point = 0.0001 of a dollar = one hundredth of a cent! Quite a small movement. The point varies from currency to currency. It is important for you to realise that a £10/point bet on one pair of currencies is not the same risk as a $10/point bet on a different pair of currencies. It is quite interesting to work out roughly how much currency you would have had to buy in order to get the same exposure as a bet. You can do this simply by multiplying the bet size by the price. Example: You bought £/$ at 16760 for £10 a point. This is roughly equivalent to buying £167,000 worth of Sterling against the dollar on the foreign markets. Example: You bought $/Yen at $10 a point at a quoted price of 11400. This is equivalent to buying $114,000 dollars against the Yen on the foreign exchange markets. Personal Note: I have been jumping around from the FTSE to FOREX mainly the EUR, £, and $. Never left a trade overnight as I find that a bit scary, but have concluded that it is a must if you want to trade medium term swings. Wins are very good good, but then with that you also get an invincibility mood which for me often meant staying that bit too long in a trade and losing the gains. I think over a longer period you can use your stops and limits to lock in and protect profit. Parting Note: With tight spreads, volatile market swings and plenty of trading opportunities, forex is the market to go if you want action. It is also the one where caution needs to be exercised.